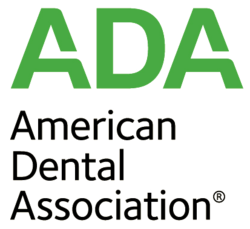 Our mission is to deliver the best, most comprehensive dental care, and financial considerations should not be an obstacle to fulfilling your needs. To that end, we provide a range of payment options for our patients. We accept check, cash, debit cards, Visa, MasterCard, Discover, and American Express. We accept most dental plans and will work to maximize your dental benefits and submit your insurance claims at no charge. For your convenience, we accept the insurance benefits directly from your insurance company, and only the estimated portion not covered by your insurance is due at the time of treatment prior to your dental appointment. However, we make no guarantees of your insurance reimbursement, and if we do not receive payment in full from your insurance company within 60 days, you will be responsible for the unpaid insurance portion. You assign directly to Fountains Family Dentistry all benefits, if any, otherwise payable to you for services rendered. You hereby authorize the doctor to release all information necessary to secure the payment of benefits. You authorize the use of your signature on all your insurance submissions whether manual or electronic. We have partnered with Care Credit, offering no interest and extended payment plans, making it easy and affordable to get the smile you've always wanted. If you work for a company that provides a flexible spending account or a health saving account, we can help you save up to 30% on your treatment cost by paying with non-taxable income.